Exploring the emergence of Malaysian "commuter families"
Commuter families normally consist of dual-career marriages that choose to establish separate homes to fulfill their career commitments. Selangor, Malaysia, June 30, 2015 - (ACN Newswire) - Around the world, the numbers of dual-income, dual-household families is on the rise, fuelled by such reasons as the desire of spouses to improve their lifestyle, obtain a higher family income, or pursue better opportunities for career advancement. However, in Malaysia, the most common reason (44.4%) that married couples adopt a "commuter family" lifestyle is that they are required to by their employers, according to a recent study published in the Pertanika Journal of Social Sciences and Humanities. Conducted by researchers at the Universiti Putra Malaysia, this study is the first in Malaysia to investigate the challenges faced by long-distance commuters and their families. The study involved families based in Klang Valley that had one spouse working outside this region. Commuter families normally consist of dual-career marriages that choose to establish separate homes to fulfil their career commitments. However, life for these families can be challenging and difficult to manage due to such factors as the time spent travelling back and forth every week, increased expenditures and financial cost, as well as changes in the relationship dynamics with spouses, family and friends. According to the study, among commuter families, more men than women (60.2% versus 39.8%) work away from home in Malaysia. 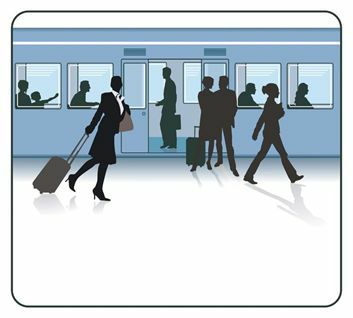 However, no gender differences were observed in terms of how commuting impacts personal wellbeing. Overall, the study found that most respondents have a negative perception of their commuting lifestyle (80.6% of males versus 96.5% of females). "This may be because the majority of these commuters not only did not choose to work away from home and their families, but also they did not receive any financial incentive or stipend to cover commuting expenses such as accommodation, transport or food while working away from their hometown," state the researchers. "Most of these commuters also reported that they had been working away from their spouse and young children for more than half of their marriage life." The authors recommend further studies on the emerging commuter family dynamics and its impact on work-home life balance for young Malaysian families. "Future research could focus on how the family members adapt to the changes that emerge from being a commuter family/marriage," they add.